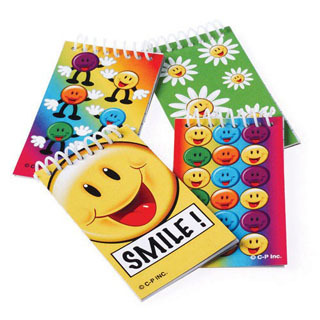 Take notes or draw pictures on this smiley face notepad. Perfect for party favor bags. Contains 20 lined pages. Assorted designs. Size 3 3/4" L.